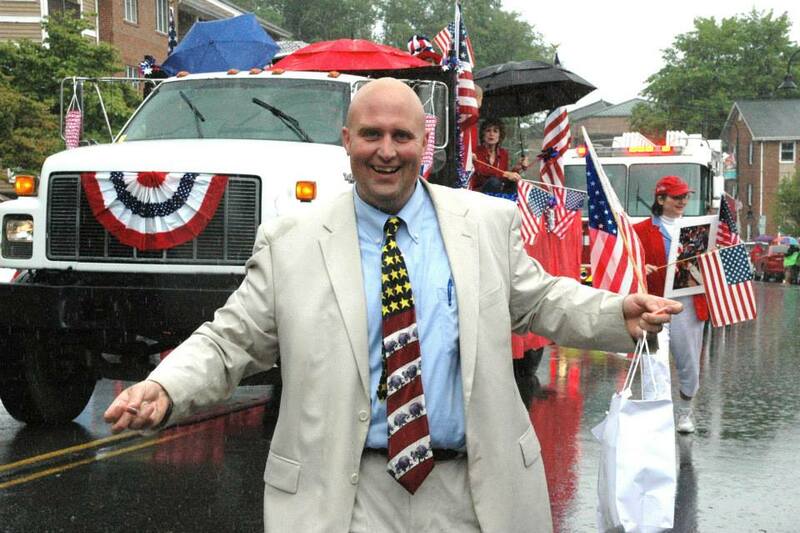 Watauga County Commission Chair Nathan Miller, who has tried his best to destroy the town of Boone, stepping out in Boone's July 4th parade yesterday. He's running now for a higher office. He was all smiles. He was also all wet, which might be symbolic of something. Was he walking in front of the golf cart of "young Repulicans"? After he engineered the theft of Boone's sales tax, he should be prohibited from marching in any parade Boone pays for and for that matter he probably should not be allowed to use town streets. You people are hilarious! Sales taxes in Watauga county are distributed the same way as it is in most North Carolina counties. Too bad if Boone doesn't get to fund it's liberal agenda with the revenue stolen from other municipalities. Yes, anonymous 2:44. Keep that head in the sand (or up another part of your anatomy). I guess that "liberal agenda" that Boone was punished for was trying to protect some small semblance of quality of life for those who actually live in the town, as opposed to those who live elsewhere (say Arizona?) and make their livelihood destroying the lives of everyone else. Yes, true conservatism (and Christianity): screw everybody else as long as it's in the pursuit of materialism. Mr. Miller is against zoning because his family is rich enough to control all the land around them. His view is: "Let the poor suffer. Who cares." The same people who suffer from this attitude will support him because they are taken in with his anti-government, anti-education, anti-environment rhetoric. We are a nation of fools, electing the McCrorys, Jordans, Souceks and Millers, and the GOP is over represented. "Not allowed to use town streets?" You mean the streets his tax dollars helped pay for??? Speaking of tax dollars, I wonder how many more tax dollars would have been collected if Boone had not killed the sale of the old high school??? And how many offers have been made on that property since Boone wreaked the sale? Seems those posting here are angery with the wrong person(s). How about a little anger directed toward Andy Ball or Lynn Mason?!? "Too bad if Boone doesn't get to fund it's liberal agenda with the revenue stolen from other municipalities." Hasn't it been determined that 2/3 of the sales tax money comes from Boone? Looks like the "stealing" is going the other way! The county had a good offer for the old WHS property until the commission adjourned their meeting (in an extremely unusual and questionable move) so Phil Templeton could make an upset offer...which, of course, he withdrew, even though the town put NO additional requirements on the property. Frankly, it smelled like a set-up from the outset. I had forgotten about that - that Templeton actually wasn't the high bidder, but got it through the upset process. Wonder if the previous high bidder is still interested? Somebody needs to contact Target to find out if that was all a lie, too. If Target actually was lined up, why would the student apartments have to have been built first? Makes no sense. No, ALL of the sales tax monies come from people that buy things from everywhere. It is collected by merchants everywhere in the county. The monies have been distributed according to state law in one of the prescribed manners This method has been used by the county before. Boone has no legitimate complaint. I believe the other municipalities complained when the per capita method was adopted also. At the time, I think Blowing Rock suggested the method be switched every year or two. You're being a bit naive there, Anonymous, if not disingenuous. Yes, sales tax is collected throughout the county, but you've got to admit that there are more businesses that are located in Boone than there are in Sugar Grove. I don't really understand why the ad valorem method is even used. Why should valuable property have any effect on the amount of sales tax? Blowing Rock, Beech Mountain, and Seven Devils have lots of valuable property, but very small populations. Boone needs the tax money to maintain infrastructure and pay for firefighters and police. Why should 17,000 people be punished so that a few hundred rich people get even MORE money? Boone "needs the money," to pay for its lobbyist. Boone "needs the money" to fund lawsuits against citizens - legal battles they continue to lose. Boone "needs the money" to fund Councilwoman Lynn Masion's Hospiality House. Yes, you are correct, Boone needs money to fund infrastructure, firefighters, etc. These items should take priority over lobbyist, lawsuits, and special interests. Unfortunately, current Town Council members do not see things the same way. And I suppose that Blowing Rock, Beech Mountain and Seven Devils only fund things that you approve of, right, Anonymous? Boone is going to lose almost 2 million dollars with just 2 month's notice. That is cruel and mean-spirited. There is no way that Boone spends that kind of money on lobbyists, lawsuits and the H-house.